In our neck of the woods strawberries are ripening every day. The fields yield fresh red beauties that just beg to be eaten. Grab the grandkids, pick or purchase some strawberries and you’ll be ready for these four recipes for various parts of your early summer meals. Cut a deep X into each berry and gently open. Beat the cream cheese, sugar and extract until soft. Place 2 t. of mixture into each berry and then sprinkle with grated chocolate. Chill. These are wonderful as appetizers and for special events such as wedding and baby showers. Remove stems from spinach. Add onions and strawberry slices. 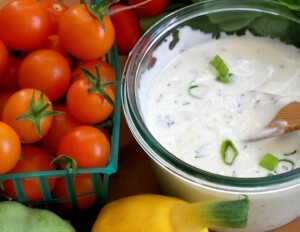 Mix and shake dressing and toss gently into salad. Serve after five or ten minutes. Place all ingredients into blender and blend for twenty seconds. Enjoy. Preheat oven to 375 degrees. For crust, combine flour, salt, sugar, vegetable oil and milk. Mix. Place in 9” pie pan and spread with hands to form crust. Bake for ten minutes. Make glaze in a saucepan. Combine water, sugar and cornstarch. Bring to boil and then reduce heat to thicken over medium heat. Remove from burner and add dry jello. Cool. Place berries in cooled pie crust, Add cooled glaze over the top. Refrigerate for at least one hour.